The way the defense performed makes me think good things about the coaching staff. Even on the 1st drive the defense looked reasonably prepared. They would have stopped the drive for a field-goal attempt if it hadn’t been for the phantom facemask penalty. As the game wore on, they got better and better. Every time Air Force made an adjustment, it would work for a short while, but the Bears would adjust and shut it down again. As the season has wore on, I’ve been less and less impressed with the receivers. Don’t get me wrong, they’re still reasonably good. It’s more that I used to think they were awesome and now think they’re just good. Powe in particular didn’t impress me early in the game. He just didn’t look like he cared all that much. Maybe these guys are affected by the cold? I dunno. Whatever it is, the number of dropped balls has been disappointing for a supposedly elite group. The offensive line looked good today against a smaller defensive group. That last drive to seal the game was something we’ve never seen before from a Dykes team. Air Force knew Cal as going to run the ball to grind out the clock and they couldn’t stop it. Considering the opponent one has to take that performance with a grain of salt, but it’s a step in the right direction. Something the announcers picked up on starting in the ASU game and was repeated yesterday was how good Goff is against pressure. I wholeheartedly agree. I think the key to the Cal offense without Goff is whether the new QB can be trained to know his quick pass opportunities when the opponent brings a blitz and has the guts to deliver those passes with the heat bearing down on him. The offensive line doesn’t look to have the talent to take care of blitzing all on its own. While we’re on the topic of Goff leaving, put me in the camp of thinking he is more likely to stay than most people think. If you made me bet with even odds, I’d bet on him leaving. But somewhere around 2.5-to-1 I’d consider betting on him staying. 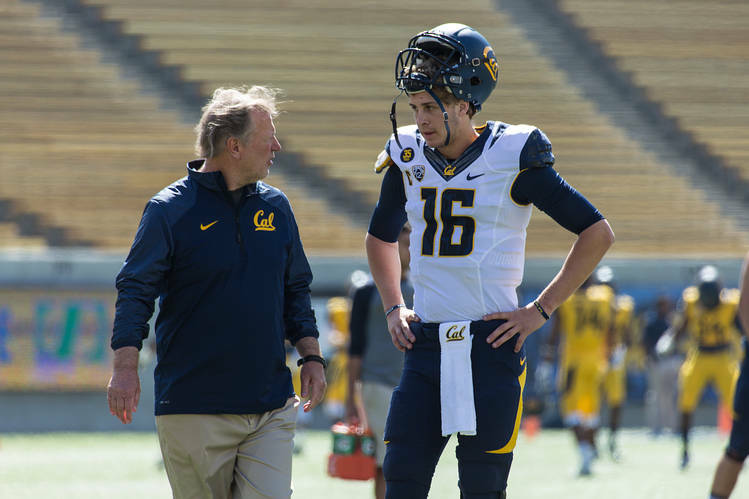 Goff loves it at Cal. I think he sees the potential for a better run next year. I’m not sure how close he is to getting his degree by the end of next year, but that could be the deciding factor. Back to the game, I still think Mohammad is our most under-appreciated running back. It seems he’s the #2 back right now behind Tre Watson, who I must admit is starting to impress me and I think is the back of the future, but Mohammad deserved the #1 spot yesterday. I was happy with the linebacker play considering how many we were missing yesterday. It makes me feel a lot better about the future of the defense. While I’ve still got my fears about how many guys we’re losing on defense, it seems that the linebacker core of 2016 might be an area they can build around. Overall, a reasonably strong performance in a mediocre bowl against a reasonably challenging mid-major opponent. The Bears came to play and were the superior team. Well, it’s a bit more than my suggested $2.75M, but in the range of reasonableness, if at the very top of it. Personally I would have rather seen that last $75K go to the assistants. The reason is that I think Dykes will do very well if he has the defensive assistant coaches needed to field a good defense. Just like with head coaches, getting and keeping good assistant coaches requires paying them well. The other interesting clause is the automatic 1-year extension for every 7-5 season with a 980 APR. At first I thought this was the 4-year APR, which would mean any extension would be unlikely to kick in for a few years. While we’re expecting a high score this year (997), the previous 4 years are 946, 969, 923, with the 923 falling off next year, hamper his ability to make 980. Even if the team scored a perfect 1000 next year, that would only be a 4-year APR of 978. But, it’s the single year numbers he will be graded on, so there’s a good chance, Dykes can get an automatic 1-year extension most years if he can keep his current level of on the field performance. I didn’t realize this until today, but apparently the NCAA ended up three teams short for the number of bowl slots out there. 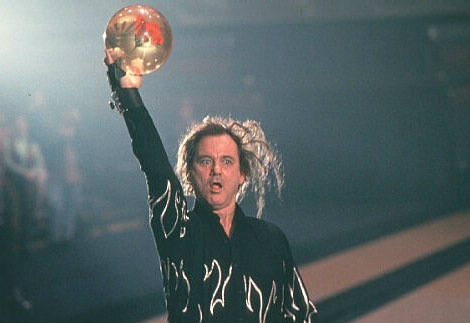 Because commitments have been made, the NCAA felt compelled to allow three 5-7 teams to participate in bowls. There’s no other way to say this: SHAME ON YOU NCAA! There should never, never, never, NEVER be a situation where teams with losing records go to bowl games. I’ll concede that I’m on the picky side of things in that I think it should be restricted to 7-5 teams. But I’m pretty sure I’m not alone in thinking that 6-6 is as absolutely low as it should go. The NCAA should have never allowed the number of bowls they’ve allowed. They should nix at least two games next year (which removes 4 teams) and should analyze the scenarios to see what the minimum number of 6-6 teams that should be expected in any season to see if any more need to be eliminated. This is an absolute disgrace. Air Force is an easy team to beat if you have time to prepare for their triple option offense. Their systems is quirky and effective, but their personnel is vastly undersized on the lines due to the limitations of being a service academy. That’s why the best time to play them is either the 1st game of the season or a bowl game. The team has the time to prepare for the triple option, neutralizing their advantage. Without that advantage, they’re much easier to beat. The last time Cal played them, in the Armed Forces bowl in 2007, for the 1st 20 minutes of the game it looked like the defense hadn’t spent a minute preparing for the triple option. Frankly, it was one of my greatest disappointments in the Tedford era as far as my trust in the coaching staff. But eventually, the team figured out how to defend it and Kevin Riley led a dramatic comeback, and the Bears won. We’re about to find out how good the current defensive coaching staff is. Unlike other games where all the issues that make up a good defense are mixed together: talent, effort, maturity, scheme, coaching, in this game, since the way to beat the triple option is pretty well known and it’s not an issue of talent, we can know that the result will come from effort (a result of good coaching), maturity and coaching. And since this team has plenty of upper classmen, it means the defensive result is pretty much entirely about coaching. It will be interesting to see. How much should Cal do to keep Dykes? Dykes is rumored to have interviewed for three different jobs: Missouri (although they announced someone else recently), South Carolina and Virginia. It’s unclear if Dykes really wants out of if he’s just trying to get Cal to offer better terms than what they offered, specifically more money and a longer more guaranteed extension. So the question becomes, how much should Cal offer to keep Dykes? My thinking is that his salary should be upped to about $2.75M, but that he should only be extended 2 years (so 4 years total from now) with it getting reasonably cheap for the Bears to let him go after 2017. I’m OK with Cal having to give a fairly large sum after next year. With the amount of talent leaving (particularly if Goff leaves) and how the schedule is shaping up, it’s reasonable to expect Cal to take a bit of a step back next year. Thus it’s reasonable for Dykes to insist his contract protects him from a one-year blip. Who are we rooting for in the title game? Let’s see, if Stanford wins, our arch-rival gets another trip to the Rose Bowl and with luck a trip to the playoff. That’s bad. But at the same time, if Stanford gets into the playoff (somewhat of a long shot) and the Rose Bowl takes Oregon (I would expect it), we likely get to go to a better bowl, perhaps even the Foster Farms at Levi Stadium. That’s good. As for USC, when do we ever want them dominant in the league? They get enough of the best recruits as it is. So are we rooting for the Spoiled Children/Evil Empire or are we rooting for the Trees?